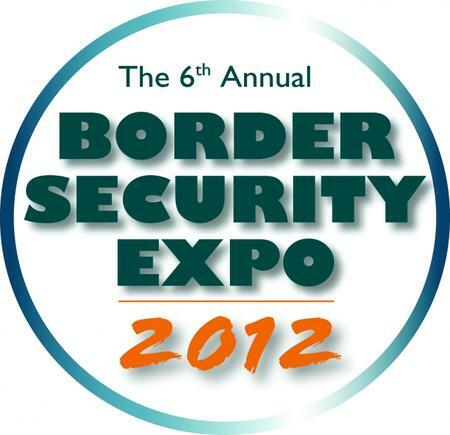 As the Border Security Expo 2012 shows, the Arizona-Mexico border region is Ground Zero for the development of an immigration enforcement apparatus which soon enough may travel from the U.S. southern border to a neighborhood near you. As Dodds describes it, unauthorized migrants and drug traffickers often cross the line of scrimmage undetected. At best, they are seldom caught until the “last mile,” far from the boundary line. His surveillance system, he claims, will cover a lot more of that ground in very little time and from multiple angles. It will become the border-enforcement equivalent of New York Giants’ linebacking great, Lawrence Taylor. To listen to Dodds, an ex-Marine (Afghanistan and Iraq, 2001-2004) with the hulking physique of a linebacker himself, is to experience a new worldview being constructed on the run. Even a decade or so ago, it might have seemed like a mad dream from the American fringe. These days, his all-the-world’s-a-football-field vision seemed perfectly mainstream inside the brightly-lit convention hall in Phoenix, Arizona, where the seventh annual Border Security Expo took place this March. Dodds was just one of hundreds of salespeople peddling their border-enforcement products and national security wares, and StrongWatch but one of more than 100 companies scrambling for a profitable edge in an exploding market. Vivid as he is, Dodds is speaking a new corporate language embedded in an ever-more powerful universe in which the need to build up “boundary enforcement” is accepted, even celebrated, rather than debated. It’s a world where billions of dollars are potentially at stake, and one in which nothing is more important than creating, testing, and even flaunting increasingly sophisticated and expensive technologies meant for border patrol and social control, without serious thought as to what they might really portend. Phoenix was an especially appropriate place for Border Security Expo. After all, the Arizona-Mexico border region is Ground Zero for the development of an immigration enforcement apparatus which soon enough may travel from the southern border to a neighborhood near you. The sold-out convention hall was abuzz with energy befitting an industry whose time has come. Wandering its aisles, you could sense the excitement, the sound of money being spent, the cacophony of hundreds of voices boosting product, the synergy of a burgeoning marketplace of ideas and dreams. General Dynamics, FLIR thermal imaging, and Raytheon banners hung from the vast ceiling, competing for eyeballs with the latest in mini-surveillance blimps. NEANY Inc.’s unmanned aerial drones and their water-borne equivalents sat on a thick red carpet next to desert-camouflaged trailer headquarters. If there was anything that caught the control mania at the heart of this expo, it was a sign behind the DRS Technologies booth, which offered this promise: “You Draw the Line and We’ll Help You Secure It.” And what better place to express such a sentiment than Phoenix, the seat of Maricopa County, where “America’s toughest sheriff,” Joe Arpaio (now being sued by the Justice Department), regularly swept through neighborhoods on a search for poor people of color who looked like they might have just slipped across the line dividing the United States from Mexico. Dodds and I stood a little more than 100 miles from that border, which has seen a staggering enforcement build-up over the last 20 years. It’s distinctly a seller's market. StrongWatch is typical. The company, Dodds told me, was hoping for a fat contract for its border technology. After all, everyone knew that the Department of Homeland Security (DHS) was about to issue a new request for proposals to build its latest version of a “virtual wall” along that border—not actual fencing, but a barrier made up of the latest in surveillance technology, including towers, cameras, sensors, and radar. In January 2011, DHS had cancelled its previous attempt, known as SBInet, and the multi-billion dollar contract to the Boeing Company that went with it. Complaints were that the costly and often-delayed technological barrier was not properly tailored to the rugged terrain of the borderlands and that it had trouble distinguishing animals from humans. But the continued fortification of the border (and the profits that accompany it) caught only one aspect of the convention’s reality. After all, the Arizona portion of the U.S.-Mexican border has not only become Ground Zero for every experiment in immigration enforcement and drug interdiction, but also the incubator, testing site, showcase, and staging ground for ever newer versions of border-enforcement technology that, sooner or later, are sure to be applied globally. As that buzzing convention floor made clear, the anything-goes approach to immigration enforcement found in Arizona—home to SB1070, the infamous anti-immigrant law now before the Supreme Court—has generated interest from boundary-militarizers elsewhere in the country and the world. An urge for zero-tolerance-style Arizona borders is spreading fast, as evidenced by the convention’s clientele. In addition to U.S. Border Patrol types, attendees came from law enforcement outfits and agencies nationwide, and from 18 countries around the world, including Israel and Russia. In theory, the Expo had nothing to do with SB1070, but the organizers' choice of controversial Arizona governor Jan Brewer as keynote speaker could be seen as an endorsement of the laissez-faire climate in the state. It is, in other words, the perfect place to develop and even test future technology on real people. Brewer first assured convention-goers that the “immigration issue isn’t about hate or skin color… it’s about securing the border and keeping Americans safe.” That out of the way, she promptly launched into one of her usual tirades, blasting the federal government for not securing the border. 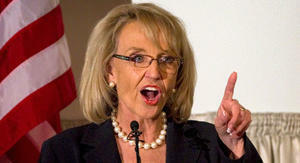 "Amer Jan Brewer. Credit: Associated Press/Politico.comica's failure to understand this problem at a national level and to deal with it,” she insisted, “has haunted borders like mine for decades." In fact, as Brewer well knows, the very opposite is the case. Arizona’s rise to immigration importance has gone hand in hand with the creation of a border version of the very homeland security state she criticizes. In reality, federal resources and DHS dollars have been pouring into Arizona as part of a tripartite war on “illegals,” drugs, and terrorism. Her continual complaints about a “porous border,” enhanced by exaggerated tales of “decapitated bodies,” only ups the pressure for ever more building blocks to Fortress USA. Brewer’s are sweet words to the companies who hope to profit, including DRS Technologies, StrongWatch, and Boeing. Anybody revisiting Nogales, El Paso, San Ysidro, or Brownsville today would quickly realize that they look nothing like they did two decades ago. In 1993, there were only 4,000 Border Patrol agents covering 6,000 miles of Canadian and Mexican boundarylands, and only flimsy chain-link fences along the most urbanized stretches of the southern border separated communities on either side. Now, 16-foot walls cut through these towns. An array of cameras peer over them into Mexico, sending a constant flow of images to dark monitoring rooms in Border Patrol stations along the 2,000 mile southern border, where bored agents watch mostly pedestrian traffic. Stadium-style lighting rises over the walls and shines into Mexico, turning night into day as if we were indeed in salesman Dodds’s football game. For residents whose homes abut the border, sleep is a challenge. Border Patrol forces, still growing, have more than doubled in the years since 9/11. As the new, uniformed soldiers of the DHS, close to 20,000 Border Patrol agents now occupy the U.S. Southwest. Predator drones and mini-surveillance blimps regularly patrol the skies. Nevins says that it is a “highly significant development” that we hav Credit: Mizue Aizekie come to accept this version of “boundaries” and the institutions that enforce them without question. The Border Patrol became part of the DHS in 2003 and was placed under the wing of Customs and Border Protection, now the largest federal law enforcement agency in the country with 60,000 employees. In the process, its “priority mission” became “keeping terrorists and their weapons out of the U.S.” Since then, the Border Patrol has not netted a single person affiliated with a terrorist organization, nor a single weapon of mass destruction. It has, however, apprehended millions of Latin American migrants coming north, including a historic number of Mexicans who were essentially victims of the North American Free Trade Agreement (NAFTA). No terrorists, they were often small farmers who could no longer compete with subsidized U.S. grain giants like Cargill and Archer Daniels Midland for whom NAFTA proved a free pass into Mexico. U.S. officials were well aware that the trade agreement would lead to an increase in migration, and called for the enforcement build-up. In the post-9/11 world, under the rubric of “protecting” the country from terrorism, the DHS, with the help of state governments and local police, has enforced what is really a line of exclusion, guaranteeing eternal inequality between those who have and those who do not. These lines of division have not only undergone a rapid build-up, but have fast become the accepted norm. According to anthropologist Josiah Heyman, the muscling up of an ever-more massive border enforcement, interdiction, and surveillance apparatus “has militarized border society, where more and more people either work for the watchers, or are watched by the state.” Heyman’s words may prove prophetic, and not just along our borders either. Immigration and Customs Enforcement (ICE) is another 20,000-strong agency sheltered under the expansive roof of the DHS. It draws from a pool of 650,000 law enforcement officers across the country through deputization programs with innocuous names like 287(g) and Secure Communities. Credit: Hispanically Speaking News ICE effectively serves as a conduit bringing the borderlands, and all they now imply, into communities as distant as Utah, North Carolina, New Jersey, and Rhode Island. The Obama administration has deported over one million migrants from the country over the last three and a half years, numbers that surpass those of Bush's two terms. This should be a reminder that a significant, if overlooked, part of this country’s post 9/11 security iron fist has been aimed not at al-Qaeda but at the undocumented migrant. Indeed, as writer Roberto Lovato points out, there has been an “al-Qaedization of immigrants and immigration policy.” And as in the Global War on Terror, military-industrial companies like Boeing and Halliburton are cashing in on this version of for-profit war. Surprisingly enough, in that vast, brightly-lit cathedral of science fiction in Phoenix it wasn’t the guns, drones, and robots, or the fixed surveillance towers and militarized mannequins that startled me most. It was the staggering energy and enthusiasm, so thick in the convention’s air that it enveloped you. That day, I had no doubt, I was in the presence of a burgeoning new industry which has every intention of making not just the border, but this world of ours its own. I could feel that sense of excitement and possibility from the moment Drew Dodds began explaining to me just how his company’s Freedom-On-The-Move system actually works. He grabbed two water bottles close at hand and began painting a vivid picture of one as a “hill” obstructing “the line of sight to the target,” and the other as that “target”—in fact, an exhausted migrant walking “the last mile” after three days in the desert, who might give anything for just such a bottle. That caught it all, offering a vision of what the military-industrial complex looks like once it’s transported, jobs and all, to the U.S.-Mexican border and turned into a consumer’s mall for the post-9/11 American era. You could sense it in the young woman from RoboteX, who looked like she had walked directly out of her college graduation and onto the floor of Border Security Expo 2012. She loaned me her remote control for a few minutes and let me play with the micro-robot she was hawking. It looked like a tiny tank and was already being used by the Oakland police and its SWAT team. It was the breathless excitement of the University of Arizona graduate student describing to me the “deception detection” technology the university was developing, along with a “communication web” that would allow drones to communicate with each other without human intervention. Perhaps training students for this rising industry was part of the University of Arizona’s thought process in accepting a multi-million-dollar grant from DHS to create a Center of Excellence on Border Security which will work in tandem with its Tech Park on Science and Technology. That center, in turn, was to develop the newest border enforcement technologies, as part of a consortium of several other universities. In the next three years, the homeland security market in the United States is expected to reach $113 billion, according to a report by Homeland Security Market Research, and a significant chunk of that money will be dedicated to boundary building. Pretty soon the idea of border security as part of a Fortress USA will be so entrenched in the system that no one will be able to shake it loose—and then, of course, like all such systems, it will proliferate. It has been fashionable to treat the state of Arizona as an American fringe phenomenon, simply a bunch of lunatics hell-bent on passing bluntly racist anti-immigration laws. However, as Border Security Expo indicates, something far more sinister is at work. There’s nothing fringe about the companies in the convention hall eager to build up the homeland security state, and funded by the federal government. Wright’s vision is likely to prove far more powerful than SB1070 will ever be. As Arizona defines the line of scrimmage for U.S. border security strategy, it is also preparing the way to export its products of social control not only abroad, but also to your hometown, or to wherever a boundary needs to be built between the rich and poor. 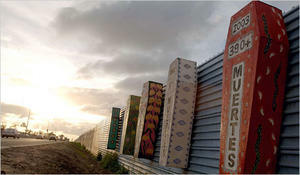 Todd Miller has researched and written about U.S.-Mexican border issues for more than 10 years. He has worked on both sides of the border for BorderLinks in Tucson, Arizona, and Witness for Peace in Oaxaca, Mexico. He now writes on border and immigration issues for NACLA Report on the Americas and its blog “Border Wars,” among other places.